After you started blogging you must think how to promote your blog and earn with it. Not only you, every bloggers have dreams to earn with their blog and gain popularity. You have to do something to start earning online with your blog. If you write on your blog, then you must be perfect on article writing. Got something on your mind? Of course, you can drive lots of traffic to your blog by writing on different article directories which is very popular. Manage little time to make article for the betterment of your blog. 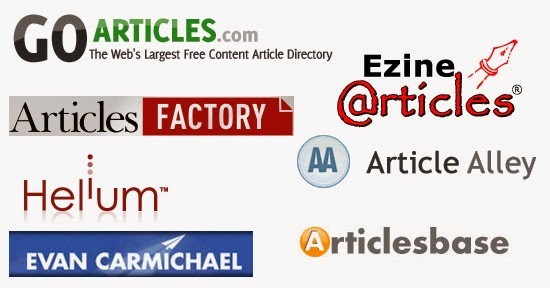 I have collected 50 article directory with Google Page Rank which may be helpful for you. Hope this helps you a lot. If you know more article directory, feel free to share it. Enjoy submitting articles!